When an infant washes up on a remote island, a couple passes the child off as their own. The Light Between Oceans is unashamedly old-fashioned, a lengthy widescreen drama that seems custom made for viewing on a lazy Sunday afternoon. By no means the epic of human drama it believes itself to be, it's nonetheless a solid attempt to replicate the great melodramas of the past. With his adaptation of ML Stedman's 2012 novel, The Light Between Oceans, writer-director Derek Cianfrance returns to similar terrain to that explored in his breakout 2010 drama Blue Valentine. Once again we have a good-looking young couple whose relationship gradually deteriorates, though in this case its due to outside circumstances and bad judgement rather than mere apathy. The protagonists of his latest are victims of circumstance rather than time. Scarred by his experiences on the Western Front during World War I, Tom Sherbourne (Michael Fassbender) takes a job as lighthouse keeper on a small island a hundred miles off the Australian coast. Initially he wants to be left alone, but his encounters with a pretty young woman on the mainland, Isabel (Alicia Vikander), reawaken his desire for human contact, and the two become man and wife. All goes well until the pair decide to have children, resulting in a miscarriage, followed by the stillbirth of a second child. Isabel becomes sullen, and the island grows ever more remote. One day, a dinghy washes up on the shore of the island, containing the corpse of a man and a starving infant. Initially Tom is intent on alerting the authorities to their find, but after much pleading from Isabel, he agrees to pass the child off as their own. Happiness returns to the pair, but on a trip to the mainland for the child's baptism, Tom discovers the truth about the daughter he now calls his own - it belongs to local woman Hannah (Rachel Weisz), whose husband is the corpse now buried in secret on the island. Tom becomes tortured with guilt and faces a dilemma: should he keep quiet for the sake of Isabel and the child, or reveal his secret to the kid's true mother? An early cut from a close-up of a striking match to a wide shot of the lighthouse's strong beam indicates Cianfrance's intention to pay homage to David Lean here. The Light Between Oceans is unashamedly old-fashioned, a lengthy widescreen drama that seems custom made for viewing on a lazy Sunday afternoon. It moves at a languid pace and runs for 132 minutes, but it never outstays its welcome. While the subject matter seems more befitting for the sort of TV movie Lindsay Wagner might have headlined two decades ago, Cianfrance's film feels like a product of golden age Hollywood. It's a movie that has complete faith in its somewhat limited narrative, and while not entirely successful, that confidence is largely infectious. 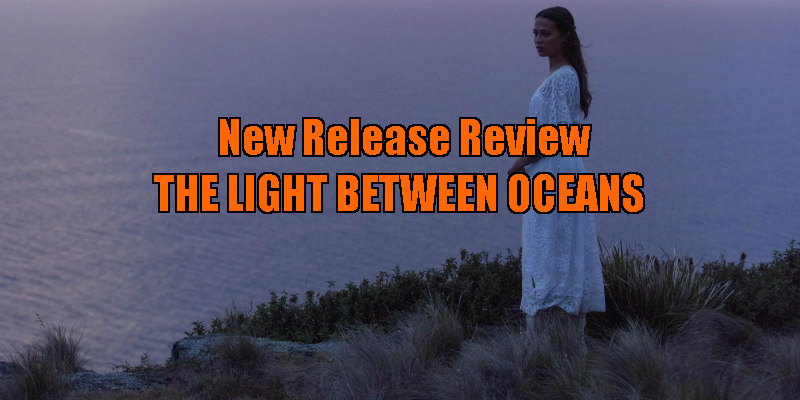 By no means the epic of human drama it believes itself to be, The Light Between Oceans is nonetheless a solid attempt to replicate the great melodramas of the past. Despite its extended runtime, if anything it could use another 30 minutes or so to delve deeper into the moral quicksand Tom finds himself sinking into in the film's second half. The movie succeeds in causing the audience to struggle with the choice they might make in his place (and I'm still not entirely sure what my own decision would be), but we could use some more screen time of Tom's own struggle. Similarly, more time spent with Hannah would have added greater nuance to the film's central conceit. Had her personal nightmare been introduced to the viewer before Tom learns of it, the film would take on a more neutral stance, rather than unfairly positing her as the potential villain of the piece. Of the three central characters, her struggle is arguably the most complex. Should she take the child that's rightfully hers, even though it recognises another woman as its mother? While I never remotely bought Fassbender, Vikander and Weisz as natives of Australia, all three are otherwise on fine form. Fassbender is one of those timeless actors you can drop into any period, and he's thoroughly convincing as a product of this film's era. Vikander is often criticised for her dodgy accents in English language films, and she won't win any new fans on that front here, but she knows how to use her face to tell a story. She's instantly charming here, and her character's love for her 'adopted' child is palpable. There's a moment late on when, overcome with grief, her face collapses in on itself like a melting pumpkin; it's stomach knotting stuff. There's nothing ground-breaking about The Light Between Oceans, but if you appreciate elegant, well mounted and confidently played drama, you could do worse than killing a Sunday afternoon with Cianfrance's human epic. The Light Between Oceans is in cinemas November 1st.